With the Milwaukee Brewers ending a rebuilding campaign last weekend, the Green Bay Packers coming off a bye week, and the Milwaukee bucks still a few weeks from regular season action, there isn’t much to say about Wisconsin sports at the moment. Okay, there’s always something to say, but instead of focusing on what one team did that season, what another team must do in the remainder of its season, and predict how yet another team will perform once their season starts, let’s take this week of relative inactivity in Wisconsin sports to shift focus to the fans. Particularly, let’s look at the thousands upon thousands of Wisconsin motorists who proudly show strangers where their allegiances rest with specialty team license plates. Even more specifically, let’s examine the types of people who go the extra mile and personalize them. Some fans buy jerseys or season tickets, but it takes a certain sort of fan to pony up $15 up front, then continue to pay an annual $15 renewal fee to honor their favorite team. Here are the types passionate plate people. Within this subset of folks literally showing their true colors with green and gold, royal blue and yellow, or navy blue and white sheets of metal affixed to their vehicles, there exists a small caste of people who spent a little extra to assure drivers they are the biggest fan. 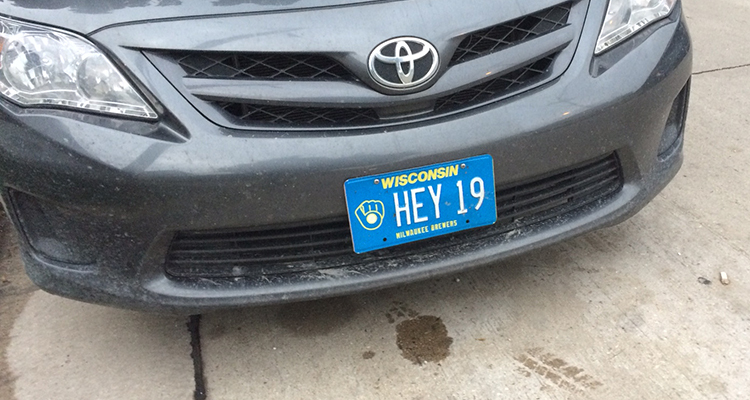 This is the license plate version of those shirtless dudes at Lambeau Field in December. Others eschew the broad-based claim of being the biggest or best disciple of their preferred team and, instead, direct their fandom at one player. 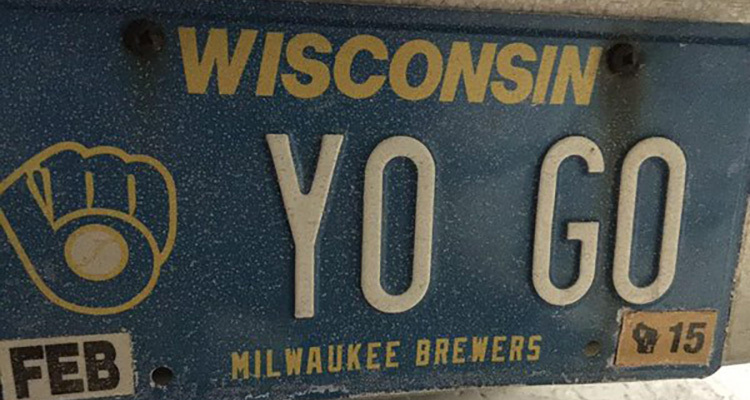 In these cases, it’s important to remember you’re signing a long-term contract with that athlete, so a vanity plate related to Robin Yount (see below), Aaron Rodgers, Brett Favre, Rollie Fingers, and other timeless legends of yesteryear makes sense. However, like a General Manager who signs a player to a multi-year extension after one solid season, pulling the trigger on a player-based plate could have some consequences. The same way the Brewers had to eat oodles of salary when Bill Hall proved to be a lemon, some drivers are either stuck driving around in a “SHEETS” or “YO GO” plate or, worse yet, standing in line at the DMV to change it. 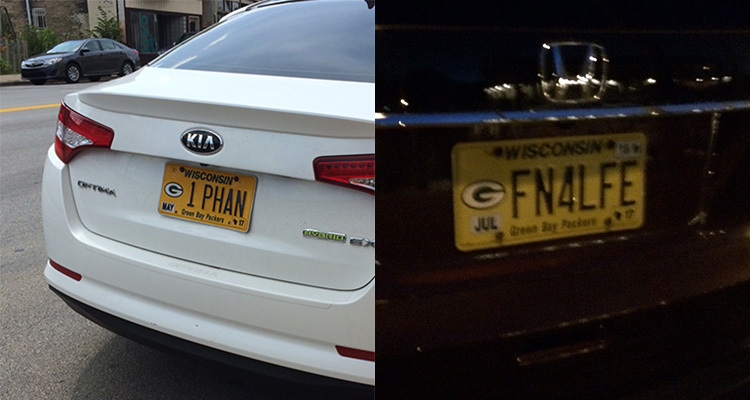 So you have a Packers license plate now, but how do you prove you’re a true sports fan? “5YD LN” (translation: five-yard line, we think) should do the trick. 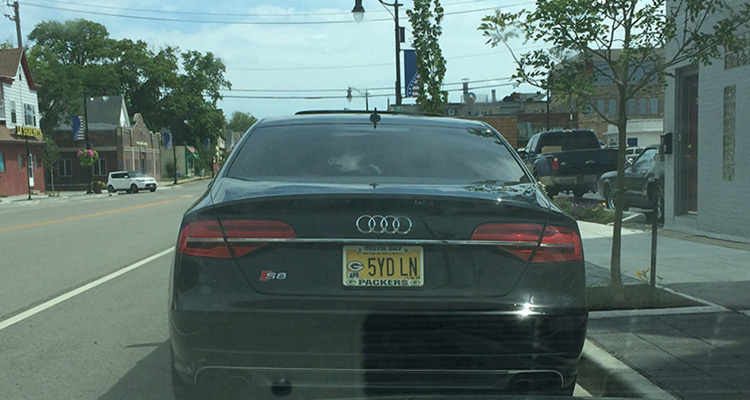 A more common occurrence on automobiles are those emblazoned with plates related to the game day experience. 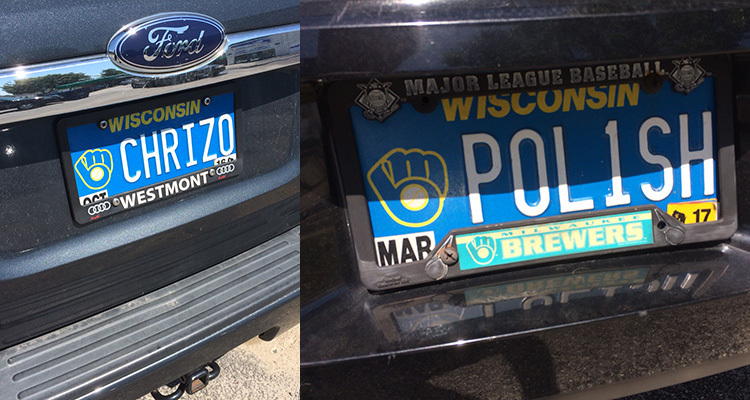 You’ll see no shortage cars cruising Wisconsin streets with plates implicitly related to things like Bernie Brewer, Hank The Dog, the Lambeau Leap, and specific racing sausages. The person who drives “HOTDOG” could be a huge fan of the sprinting meat or just a person who loves the $1 dogs during fan appreciation week. Maybe both! Though we could suggest many of those celebrating the game day experience aren’t the most devoted fans out there, there exists a smaller group of people who seem eager to wear their lack of team affiliation on their sleeves. 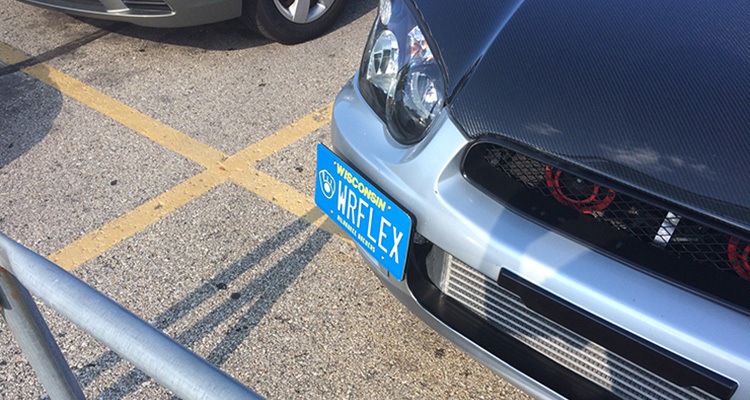 Maybe you’ve spent money to have a fantasy football position put on your plates…that have a baseball team’s logo on it. 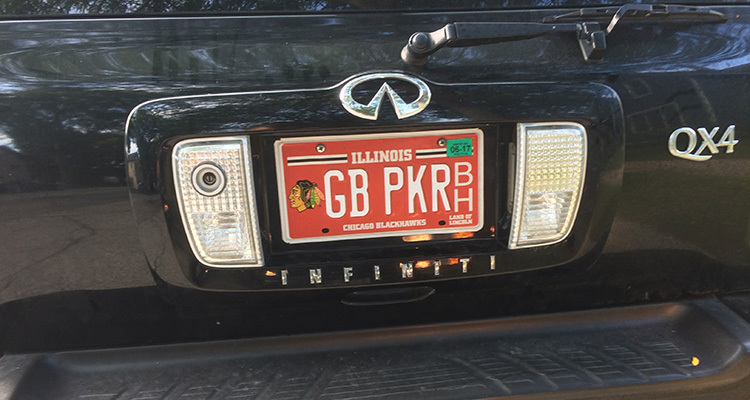 Who knows, you might even be a FIB who jumped on the Blackhawks bandwagon after years of frontrunning as a Packers fan. In either case, there’s a special place in the junkyard for cars like yours.